Have you ever needed to call one of the emergency services because life was in danger? 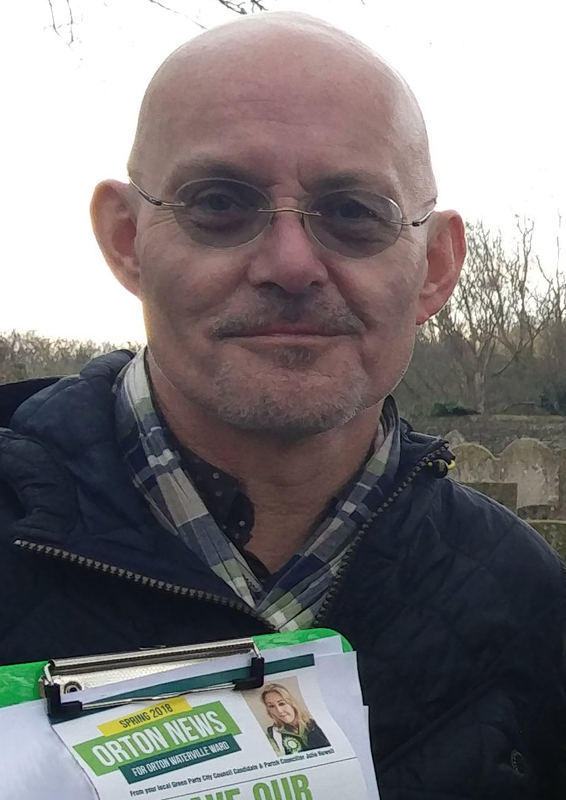 Most recently, the reason for my call was to get help for an elderly neighbour who had fallen over in her garden, hitting her head as she fell. She was conscious, but unable to get back on her feet. I was alerted to her plight when I heard her shout for help, but I couldn't get to her. She was alone at home and couldn't get to her gate or her door to unlock it. Her mobile phone was in the house so she couldn't reach that to call for help either. The only way to reach her was by climbing a gate that was over six feet high. I'm only five foot six and every fit, tall person in our street was at work. In the event a police man arrived and vaulted the fence and we stayed with the lady until her family arrived and an ambulance crew came to assess her. We often read in the press about the times the emergency services are misused and very often they are criticised by the public for attending the wrong things. However, it has only ever been my experience that when someone's life may be in danger the emergency services have been quick to respond and have done so with caring and patience. Police, ambulance crews and fire fighters are our community. They are not separate to us. They are us. Their work is amazing and I feel that they deserve to be properly resourced, not forced to worry about how to finance themselves. And so it is with this in mind that I reacted immediately to a tweet from the Peterborough Telegraph. The council tax rise that is proposed is £1.17 per household per year for a band D property. Most of us would surely agree that any increase in council tax is difficult to accommodate. 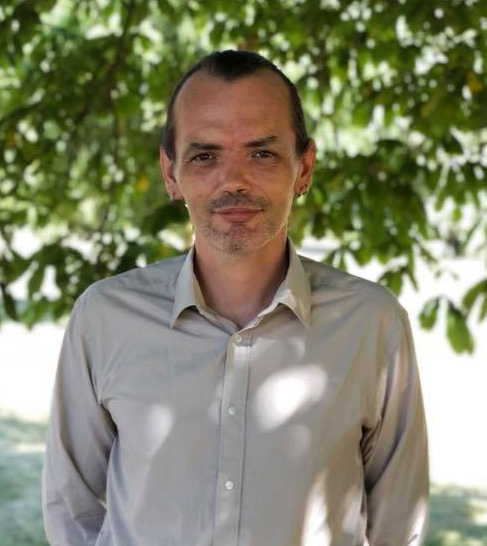 While £1.17 doesn't sound like very much, when you add it to the 5% increase that Peterborough City Council is also proposing (the increased burden of adult social care is cited as the chief reason), it's plain to see the bill is creeping up. That is going to be hard for many people. However, our fire and rescue service, along with our police service and our ambulance service, is one of the public services that I will always support, without hesitation. 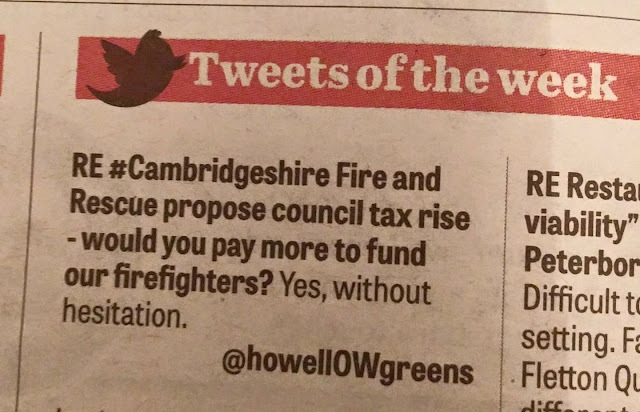 Over the past six years, Cambridgeshire and Peterborough Fire Authority has made savings in excess of £5m following cuts to the grant it receives from the Government. It needs to find another £1.4m this coming year. Raising council tax by 1.9% will help efforts to protect the front line, it says. If you enjoyed taking part in the Big Butterfly Count over the summer, this weekend is your chance to get close to the nature near you once again! The weekend of 28/30 January 2017 is the time of the RSPB's annual Big Garden Birdwatch. It's a very sad fact that some of our favourite garden birds are declining in numbers while others are increasing. According to RSPB, starlings have declined by a devastating 81% since 1979, while song thrush numbers are down around 70%. The Big Garden Birdwatch tells the RSPB what's happening to garden birds UK-wide. This is a fun and fascinating opportunity to involve your family in keeping an eye on how our precious garden birds are doing in our area. It couldn't be simpler. 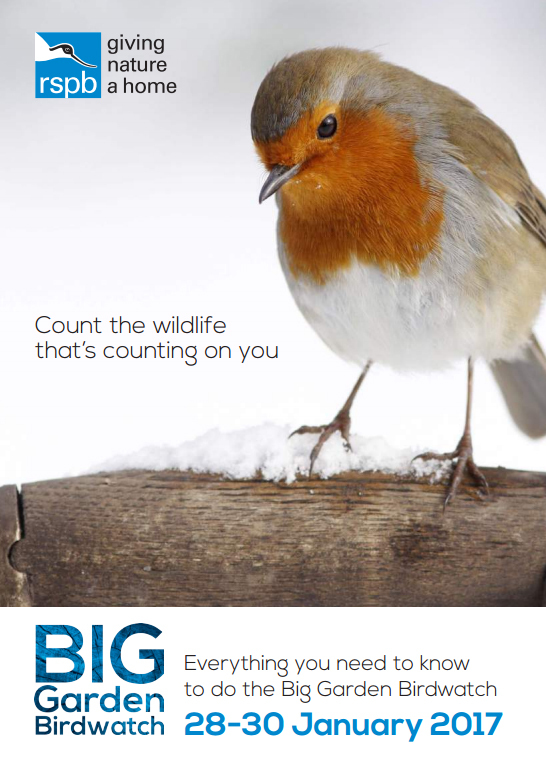 Go to the RSPB website and download the Big Garden Birdwatch pack. This contains lots of information about how to record the birds you see, along with recipes for food that will attract birds to your garden. The pack includes a very useful chart to help you to identify the the birds you see. Then all you need to do is sit by your window for an hour and make a note of the birds that visit your garden. The RSPB recommends that you are more likely to see birds if you do your watch early in the morning. When you're done, log your results online at rspb.org.uk/birdwatch. In 2016, 519,000 people across the UK counted 8,262,662 birds during the Big Garden Birdwatch. This amount of data helps RSPB to discover trends in garden bird populations. For example, between 2006 and 2016, greenfinches in England have decreased by 66% while the goldfinch population has increased by 90%. This figure will come as no surprise to residents of Peterborough as goldfinches, with their distinctive red faces, are a very common sight here. Find out more about last year's results. I already know that wood pigeons are the most frequent visitors to my garden in Orton Northgate, Peterborough. However, it will be interesting to see if smaller birds ever drop in over the course of an hour. I will let you know! Goldfinch from The RSPB on Vimeo. I did my birdwatching between 8am and 9am on Monday morning with disappointing results. One magpie, one blackbird and one sparrow visited my garden during an entire hour! I live in a rented house on a newly built estate, and have only a small patch of poor quality lawn for a garden. However, I'm going to think of more ways to attract wild birds to my garden and hope for better results next year. 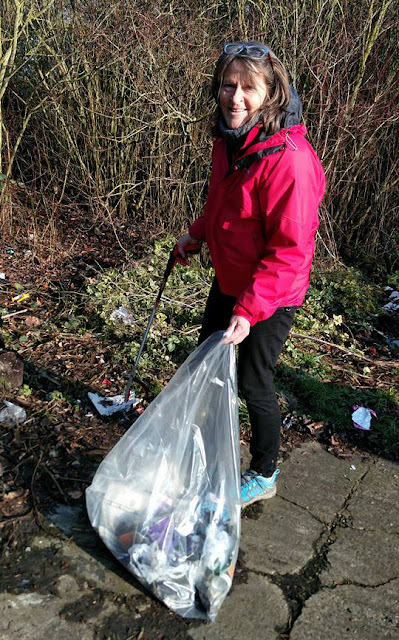 I take part in a couple of organised litter picks every month. One of these is always in the same location in Orton Waterville. It's always in the same location because no matter how much litter we clear the exact same amount always needs to be cleared again a month later. 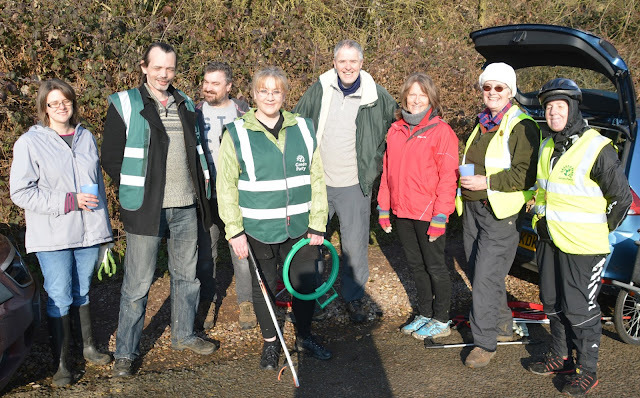 The other litter pick is organised by Peterborough Green Party. We choose a different location each month. Sometimes we respond to residents' requests to pick a particular area, sometimes we clear an area spotted by one of our own team. 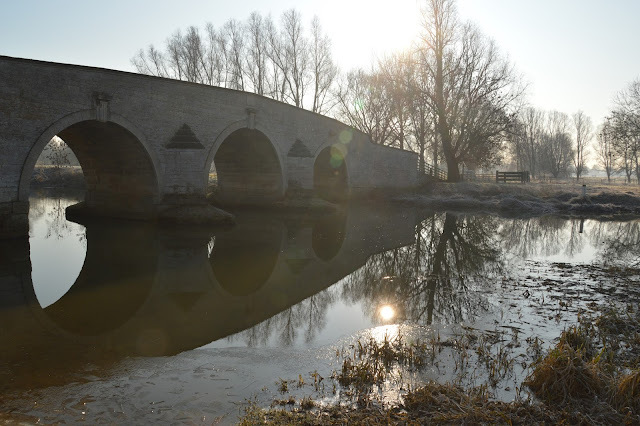 Picture of Milton Ferry Bridge taken during the litter pick. 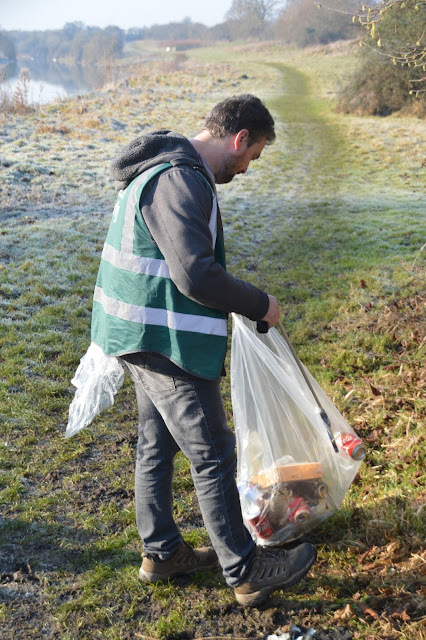 If you think our litter picks are all about muck you're only half right. This month, on a bright but bitterly cold Sunday morning we gathered at Ferry Hill. Technically, Ferry Hill is in Castor, but you'll know it as 'the road at the back of Ferry Meadows' by the stunning Milton Ferry Bridge under which flows the River Nene. On a freezing cold January morning, this area looks particularly beautiful. The lakes in Ferry Meadows were frozen and the Nene was also dotted with chunks of floating ice. I can't think of anywhere more lovely than this. Hold onto that thought. 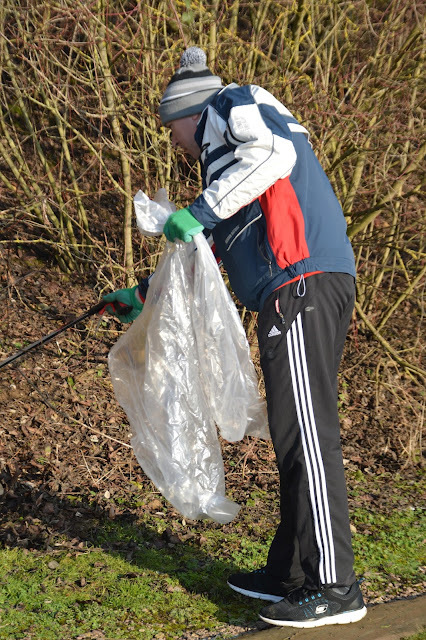 Ferry Hill is situated between Ferry Meadows and the A47 and because of this it attracts a particular type of litter. 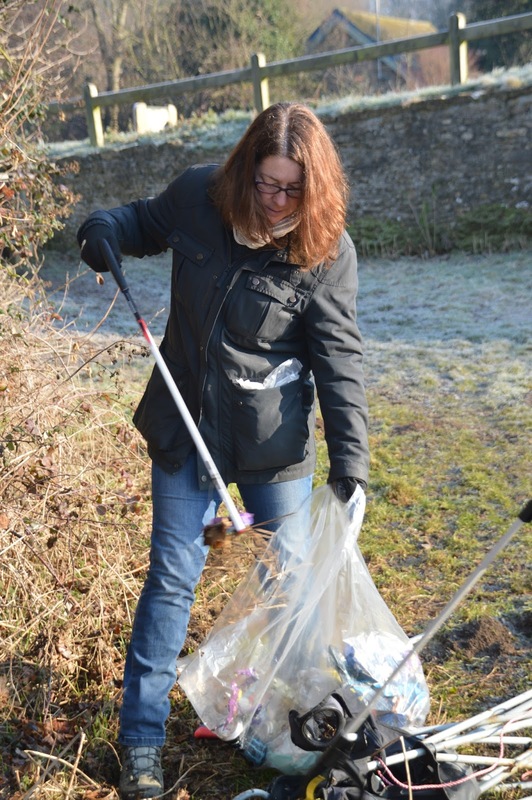 Who, you might be wondering, would drop litter at a treasured beauty spot. Well, you'd be surprised (and possibly offended. I write this post to raise awareness and I fully expect you to feel as disgusted as I do). I took another photograph, this time pointing my lens to the ground below me. Your eyes do not deceive you. That is indeed a used condom. I found four along one stretch of road. Beer bottles and used condoms and their wrappers. I'm not here to preach about what people do in their spare time, but I am going to preach about the mess they leave behind. Using condoms is definitely GOOD. Dropping them on the floor after use, definitely NOT GOOD. Disgusting and unsightly, without a doubt. A health hazard, definitely. This was on the verge next to the road, in plain sight. Would you want to slip on the ice and fall face first onto that lot? No, neither would I. Would you want your toddler to pick that up? Or your dog? Discarded used condoms are a danger on so many levels. Please, if they are yours, dispose of them responsibly. Disposing of them responsibly doesn't mean chucking them in a bush. Doing so may keep them away from humans but they will do untold harm to our precious local wildlife. If you find a discarded condom, don't pick it up. Report it to the council immediately. The same goes for discarded needles. The number to call is 01733 747474 or use the My Peterborough app. This type of litter is very dangerous. It does need to be removed, but not by you. Never touch anything like that with your bare hands. I can't say enough wonderful things about our team. 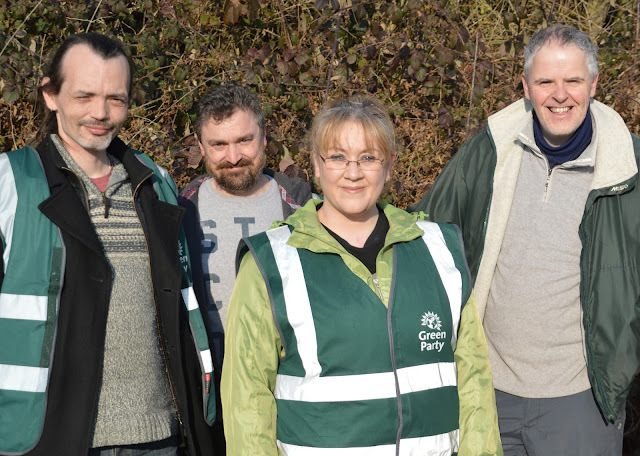 Members of Peterborough Green Party and local residents spent two hours of their Sunday morning making an area of outstanding natural beauty beautiful again. You never hear us complain when we're on our litter picks, no matter how disgusting it gets. We dress appropriately and we just get on with it, come rain or shine. We appreciate all the people who stop to thank us, and we appreciate even more the residents who join us. 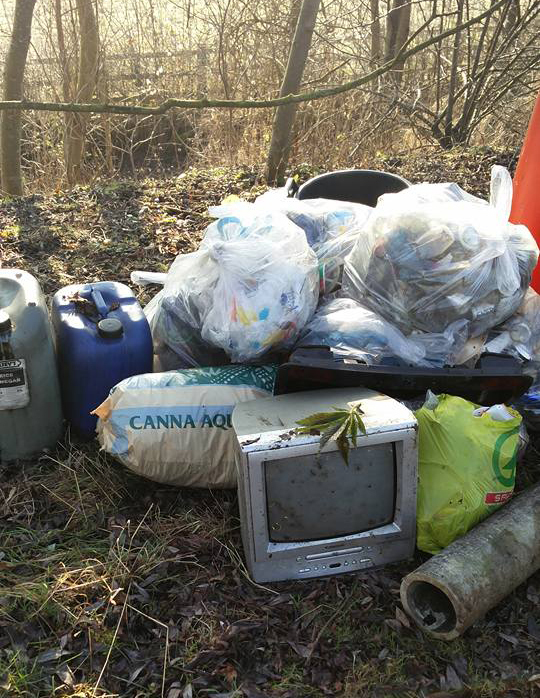 As well as the aftermath of the previous night's activities we found a lot of fly tipped waste on Ferry Hill. This included dumped cans of engine oil, a television, and a vacuum cleaner attachment. If you've ever paid someone you don't know to take things to the tip for you this stuff may well be yours. Because this is the reality of fly tipping. 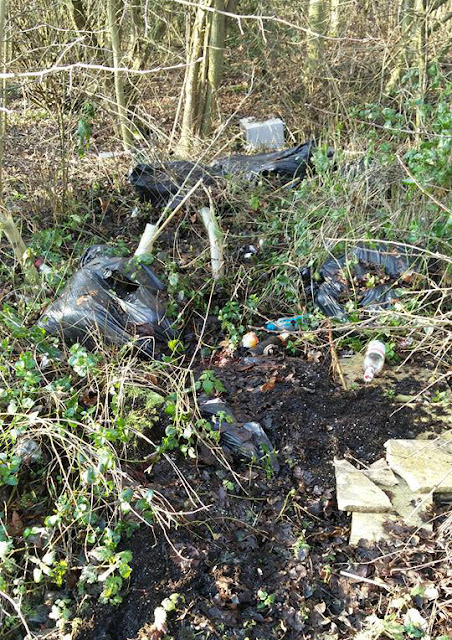 Rogue traders who don't care about our community will simply drive to an area like Ferry Hill, dump a load of rubbish into the woods, and drive off. Please don't pay people to do this. It's hurting wildlife and it looks awful. 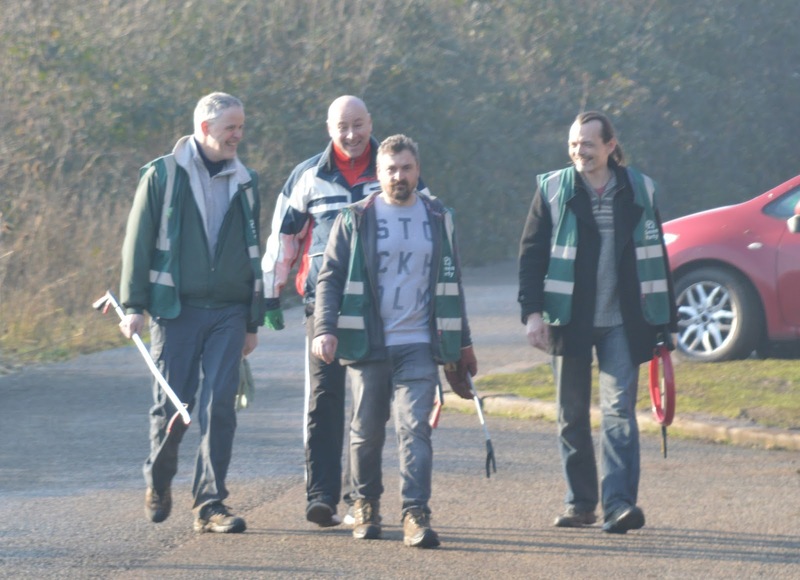 We collected 30-40 bags of rubbish on this litter pick, which is more than average. Ferry Hill is on a hill (the clue is in the name), so we couldn't pile all the rubbish in one place as it was too heavy to carry. These pictures give you an idea of what we cleared from one road. To be frank, it stank. Mixed fly tip. A bit of this, a bit of that. We found its partner in another bush further up the hill. People drop this stuff on Ferry Hill and it's ruining it. If you're reading this and feeling pangs of guilt please resolve to take your litter home with you. We don't mind clearing litter that blows into the woods from the bins or litter that has been dropped accidentally. But this is deliberate and it is dropped and dumped at a rate that overwhelming council street cleaner services. Please take personal responsibility for your own litter and take it home. 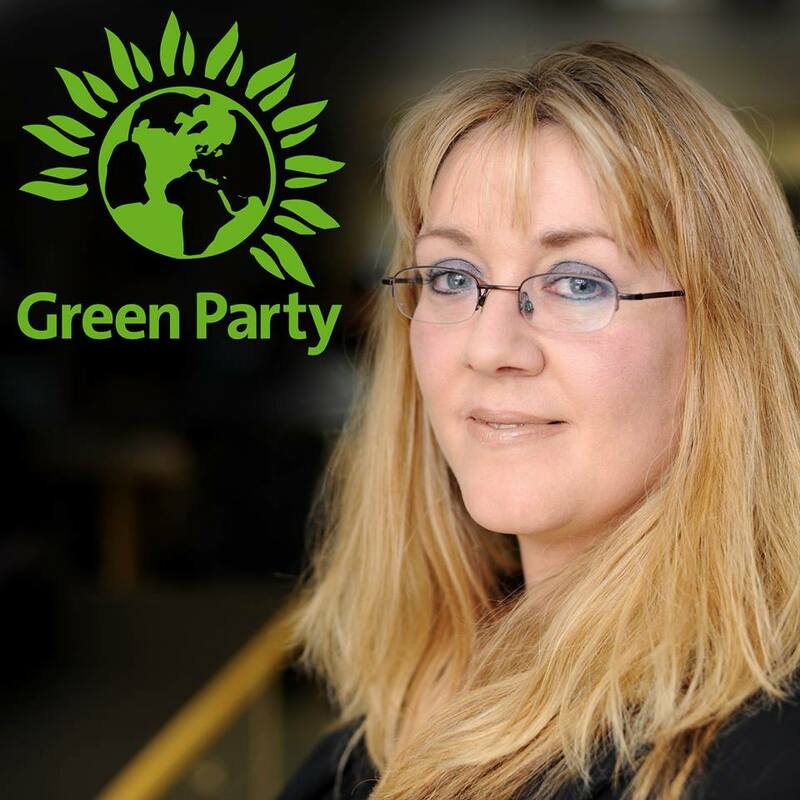 I've said it before, I'll say it again and I'll keep on saying it: fly tip amnesties. Choose a day, advertise it well, and put a skip in the community so residents can drop off their larger items without fear of fines of fees. Until we have workable fly tip amnesties in place this problem is likely to grow rather than get better. 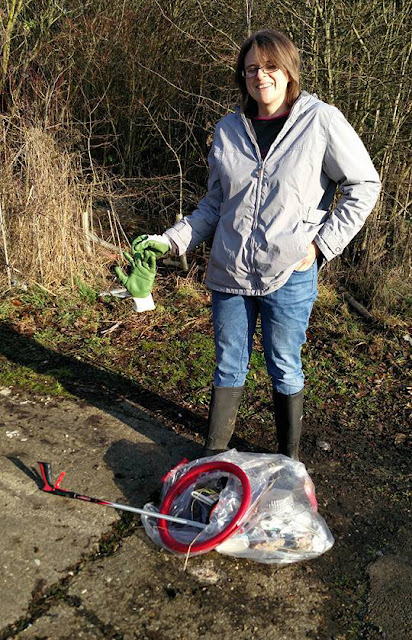 If you think I'm wrong, tell me, and join me on our next litter pick and judge for yourself. Good morning. We are in an area of Peterborough today called Ferry Hill, which is just on the border between Peterborough and Castor. It’s on the Milton Ferry Bridge side of Ferry Meadows. It’s very cold. I don’t know how that’s affecting the camera. We’re doing litter pick. This is quite an active area in the night time, so I’m told. 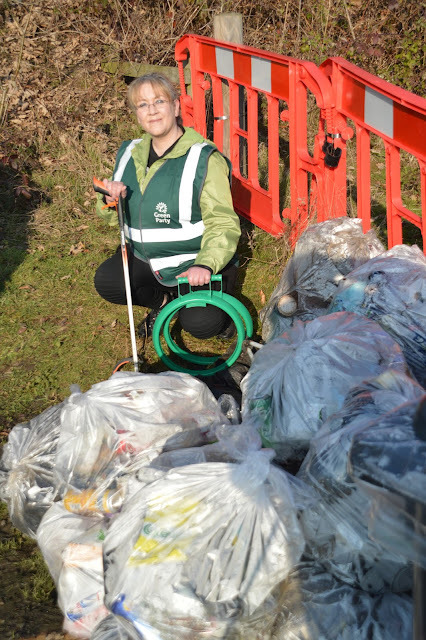 There’s a lot of rubbish as a consequence and the council doesn’t pick up a lot of it. But we’re also, as you can probably hear, by a very main road (my glasses are steaming up). Let me show you. Let me turn it around. There’s the road there, the A47. 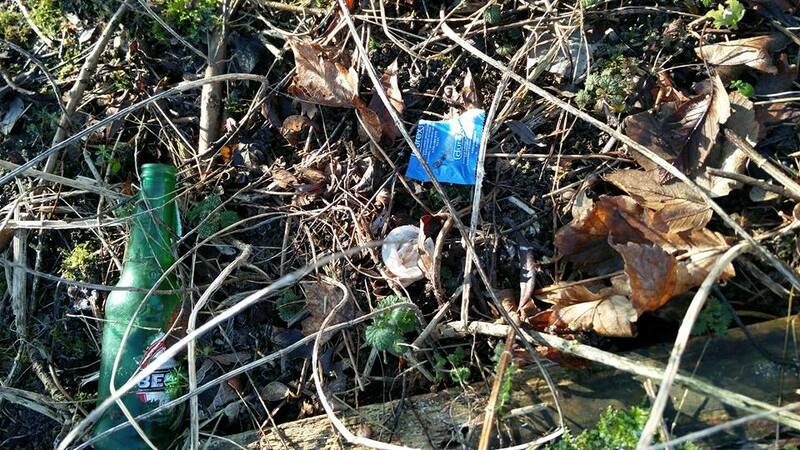 And you can see I’m standing in woodland and the sort of rubbish we’ve got in here has just been dumped. 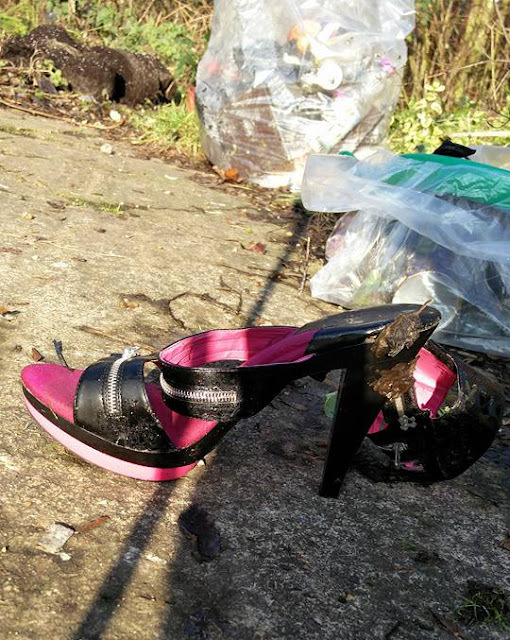 It’s been fly tipped. And there’s a lot of rubbish that’s been thrown from cars. I’m on my second rubbish bag now. Rubbish bags fill up very quickly here. It’s a beautiful area but unfortunately where you get people parking up you get rubbish. We’ll do a good clear up today but it’ll need clearing again very soon. It’s quite a difficult place to litter pick because there’s a lot of thorny branches. I’ve already cut my hand. I cut my hand pretty soon after I started but that’s okay. We just have to be very careful because they’re biohazardous waste here. It would be great if people took their rubbish home with them. Whatever you’re doing in this beautiful area let’s all just try and keep it beautiful. Real Christmas Trees are kinder to the environment that their plastic equivalents. If you chose to have a real Christmas tree this year, congratulations! However, you may be wondering what's the best way to dispose of your tree now that Christmas is over. 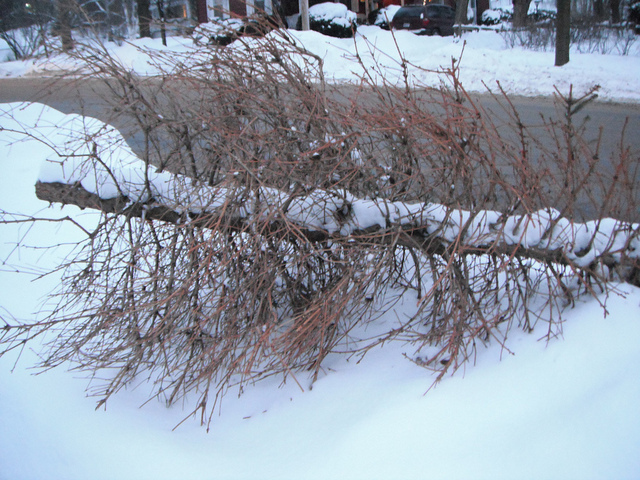 Peterborough City Council will take your tree away for no charge! 1. If you subscribe to the 'Brown Bin' service, cut your tree in half and put it into your brown bin for the next scheduled Brown Bin collection. 2. If you don't have a Brown Bin you can still have the council take away your real Christmas tree for FREE. Simply place your real tree out with your GREEN BIN between 17th and 27th January 2017 and the council will take it away for you. Please, don't fly tip your tree. The council is making it really easy to dispose of your tree responsibly this year and simply dumping it in woods can cause a great deal of harm to the environment (and you also risk being fined up to £5000 if you're caught doing it!). UPDATE 26th January 2017. Seems the council missed a few streets and some trees have yet to be collected. If your tree was missed, drop me a line with the name of your street and I'll let the council know.